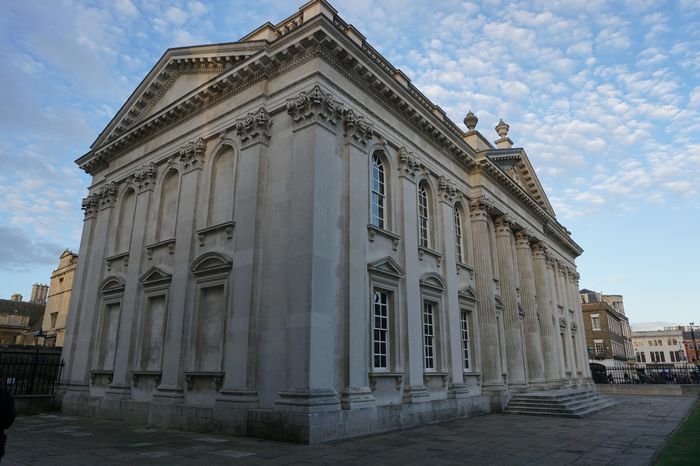 The announcement that the University of Cambridge plans to offer an extra foundation course for educationally-disadvantaged students from 2020 onwards is definitely a step in the right direction. Cambridge is undoubtedly academically challenging, so bridging the gap between sixth form and university without lowering entrance standards seems a good way of fostering potential, not least because it gives an introduction to some courses which are simply not taught at a lot of schools, particularly as the current government focuses more resources on core subjects at secondary schools. As a state school student, I was persuaded to do an A-Level in Philosophy through sheer luck, and it was my experience of studying the subject that drove me to apply for it at university. Unfortunately, not everyone can be as lucky as I am: many other subjects such as Classics, Law, and languages beyond French and Spanish are only available if your school comes with a termly fee. So in this sense, to quote the University’s pro-vice-chancellor for education, comprehensive students are indeed at an “educational disadvantage”. But while the range of subjects I could have taken may have been narrower than other students on my course, was I at any real “educational disadvantage” as compared to other contenders for my place here? Given the announcement that more state-school students are going to Cambridge than ever before, the main contenders comprehensive students face are those from grammar schools, rather than those from private schools. Even though a recent study showed that there is no real difference in the standard of education between comprehensives and grammar schools, grammar school applicants are still more likely to get a place than comprehensive applicants. What accounts for this difference in admission rates then? Rather than the difference in academic standards, it’s the fact that middle-class families, who tend to favour putting their child through a grammar school, can afford to complement their children’s education with extra-curricular activities in the same way that private schools do, making grammar school students more well-rounded individuals who are deemed more suitable for Oxbridge. While other students at my school may have received the same quality of education as I did, their parents could not pay for the music lessons, the extra tuition, and the revision books that I and many other middle-class students are fortunate to have at our disposal. This is the true educational divide between lower and middle class students, and one that Cambridge should hope to accommodate for. I do not blame Cambridge for wanting well-rounded students with a variety of interests, but I know first-hand that there are students from low-income families who are just as intelligent as anyone at Cambridge not getting a place because they do not have this extra educational backing at home. The current discussion surrounding the admissions gap between schools seems to assume the onus is on Cambridge to provide more diverse admissions without lowering standards, ignoring the harsh reality that there is no national programme beyond what has survived the rounds of education cuts to fund extra-curricular activities for children whose parents can’t. Beyond the National Citizenship Service, any arts or sports funding is typically limited to that by local authorities. A university can only pick from the application pool, and the problem of access lies with the broader system of education we as a nation afford ourselves. While a foundation year would mostly focus on continuing the education students had received at school, they would nonetheless be here, in Cambridge, getting involved in groups and societies, and flourishing as an individual. So, short of giving every underprivileged child in the country free music and sports tuition, if a foundation year helps students from low-income backgrounds get onto more Cambridge degrees, or even just gives them an idea what they want to do, then I believe it is the best thing the University can offer to help improve the divide in opportunity and experience available to applicants.